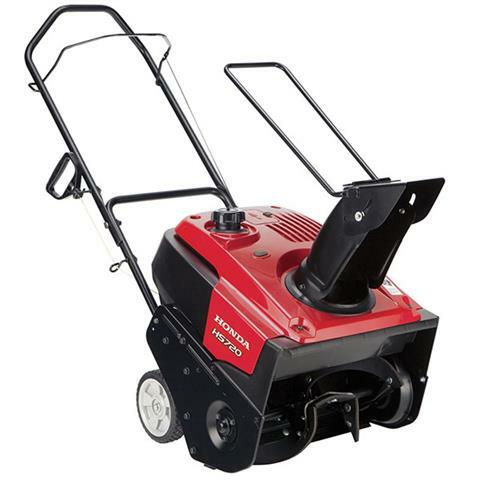 Honda has packed a lot of snow-blowing power into its compact single-stage snow blowers. 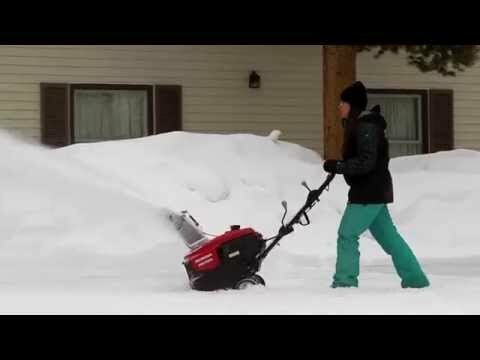 HIGH CAPACITY SNOW REMOVAL: Up to 1800 lb. / min, throws snow up to 33 ft. Don't let its small size fool you. 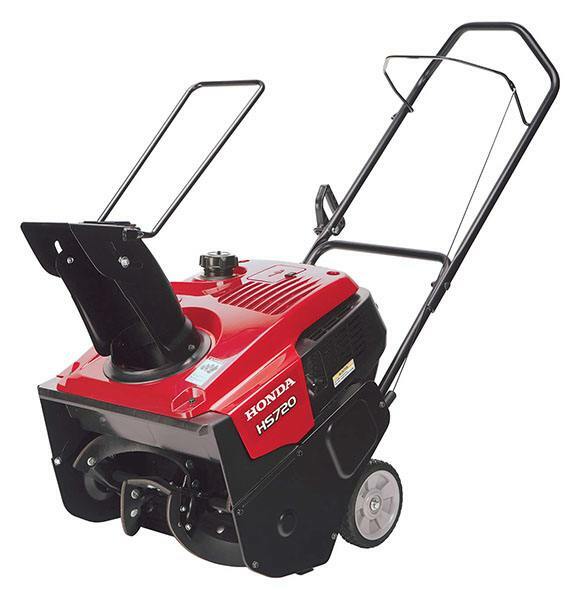 The HS720 has the snow-clearing power of a snow blower twice its size. Just like you'd expect from a Honda. HEAVY DUTY METAL AUGER HOUSING STANDS UP TO HARSH CONDITIONS: Reliable, rugged construction featuring a bearing supported auger. The heavy duty designs offers dependable performance through demanding conditions. LARGE 20 IN. WIDE CLEARING WIDETH, 12 IN. HIGH: Handles large snow falls with power and ease. "GLOVE FRIENDLY" LARGE FUEL TANK CAP: The large fuel cap and fuel opening make it easy to re-fuel, even with gloves on. The unit has a fuel shut off valve for safe storage. LIGHT AND MANUEVERABLE: Compact and convenient, the HS720 offers the performance of a larger snow blower with the benefits of a single stage unit. Maximum discharge - 1,800 lb. / min.